Appearing exclusively at the Philadelphia Museum of Art, "Cezanne and Beyond" explores the artist’s extraordinary legacy, bringing together more than 150 works by Cezanne and 18 other master artists whose work he profoundly inspired. On view through May 17, the exhibition draws important connections between the iconic artist’s achievements and those of other celebrated artists right up through the present day. As the show suggests, the artist’s influence transcends even the medium of painting. Presenting Cezanne-inspired lightbox photographs by the photographer Jeff Wall, it reveals how Wall’s photographs are in fact a kind of 20th century painting. Like Cezanne’s masterwork “The Card Players” both painting and photograph appear artfully staged. If you get a chance to go, I’d recommend grabbing the wonderful (and free) audio tour that accompanies the exhibition. Tickets cost $24 for adults, with special discounted entry available for $17 on weekday afternoons. 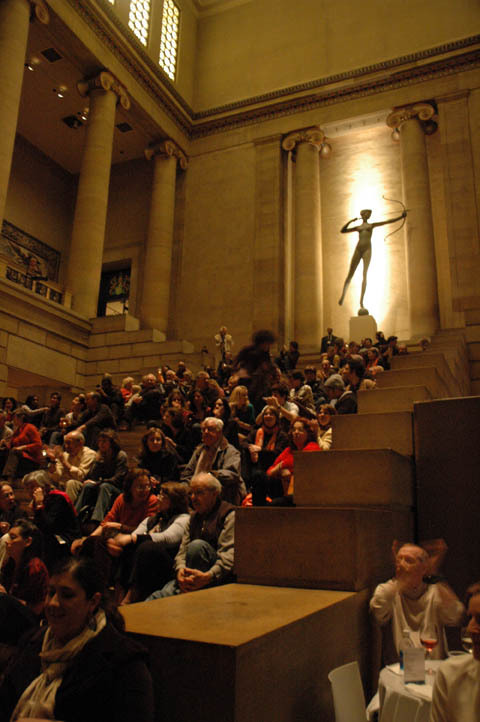 Or, enjoy the show on a Friday, during the museum’s unique Art After Five event for an evening of hors d'œuvres, cocktails, and performances by world-class jazz ensembles in the museum’s stunning Great Stair Hall.